Join us in Manuel Antonio, Costa Rica. Enjoy your perfect tropical honeymoon in the rainforest by the beach. We cater to just one couple at any time and so all of our attention goes into serving you. Your residence is a 1400 square foot villa furnished with museum quality artifacts from India and Bali. The Villa includes your private swimming pool where it is never a surprise to have monkeys or toucans in the trees above. 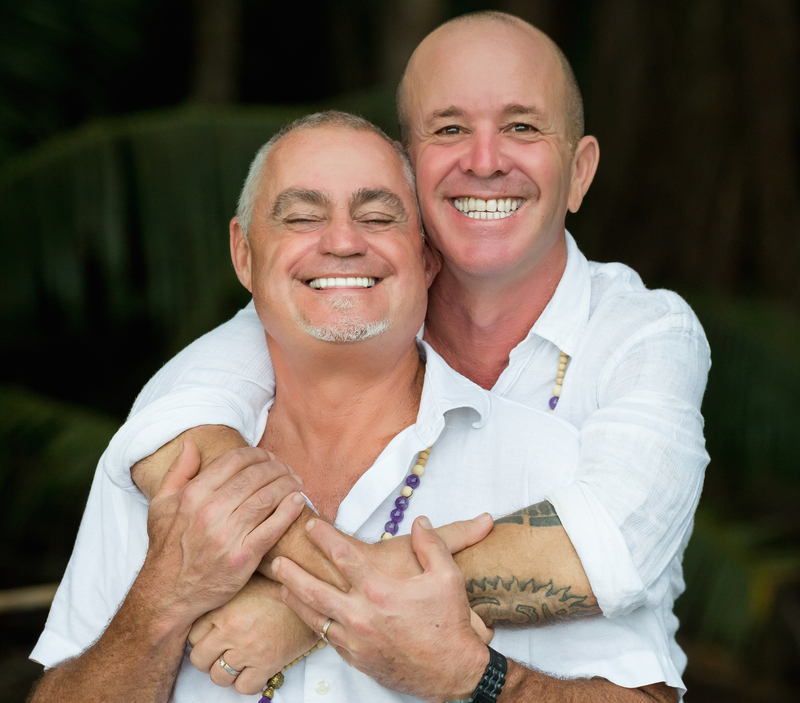 Prana Rainforest Retreat is gay owned and managed by your hosts Mark Goldstein and Jonathan Harper. 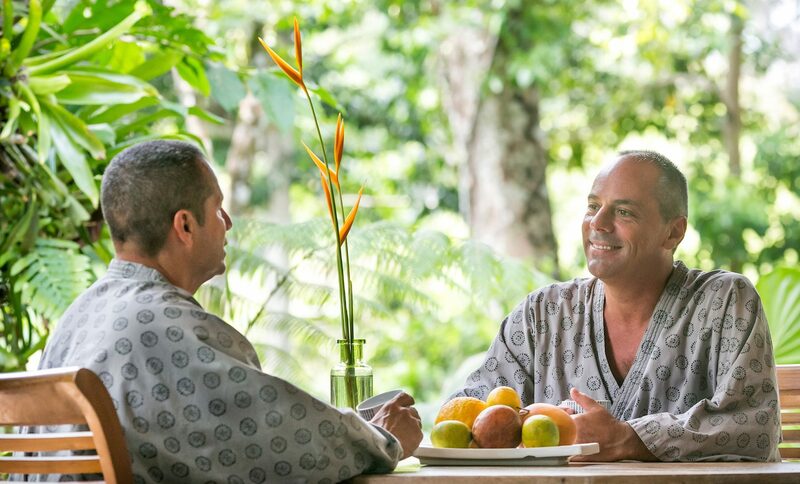 They have owned and operated Prana Spa in Key West Florida 15 years and now offer their private retreat in Costa Rica to enjoy. The property is nestled in the tropical rainforest directly on the border of world famous Manuel Antonio National Park with its endless white sand beaches and world-class adventure excursions. Mark and Jon attend to all of the details of your stay personally. Mark is a trained personal chef, and both are experienced and licensed therapeutic massage therapists. Jon is an avid cyclist and loves to share his passion for taking folks out on amazing nature trail rides. 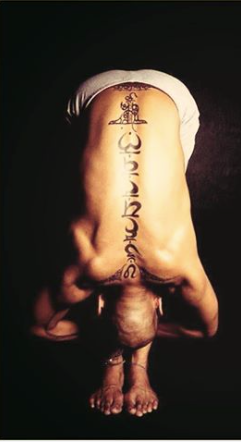 Mark is a yoga instructor, a teacher, and practitioner of traditional Thai Massage and a trained personal chef. Together with their passion for everything Costa Rica, Mark and Jon offer a very unique, and luxurious stay in their pristine Rainforest Villa. If you are looking for a gay-friendly tropical destination there is no better place than Manuel Antonio, Costa Rica. We have a long history as a very gay-friendly part of the world and both foreigners from all parts of the world, and locals from all over Costa Rica come here to find an open, friendly and accepting resort town to enjoy. We are always so honored to host such an important event in a couple’s life such as a honeymoon. Please allow us to give you a truly special experience. We love to share our amazing part of the world with others and look forward to seeing you in the rainforest! Mark and Jon, husbands and owners.